A more coherent EU ‘Peace Policy’? On 6 June 2013, ISIS Europe attended the experts’ workshop on ‘A More Coherent EU “Peace Policy”?’, organised by the Brussels office of the Friedrich Ebert Stiftung. This was a timely discussion; indeed, 2013 may be the year of renewed momentum for the EU’s peacekeeping and peacebuilding. Impulses come not only from the political level, with the December 2013 Council Summit being dedicated to security and defence issues, but also from parallel institutional efforts in light of the mid-term review of the European External Action Service (EEAS). Naturally, all this is unfolding on a background where finance is key: the Multi-Annual Financial Framework is still being negotiated, with huge implications as concerns the EU’s future capacity as a peacekeeping and peacebuilding actor. The EU being itself an embodiment of conflict resolution and peacebuilding, experts agreed that it was ideally positioned to act as a peacebuilder across the world. Although its lack of coordination and coherence at the political level cannot be overlooked, it was noted that the EU launched five new Common Security and Defence Policy (CSDP) missions, and that concrete efforts were being made to enhance the comprehensive approach and deepen the EU’s partnerships across the world. We are not there yet, but the fact that dialogue and cooperation is regularised and institutionalised is a major move towards ensuring the coherence of key strategies and synergies. The CSDP’s unanimity-based decision-taking processes, the centralisation of responsibility in the hands of Member States, and the lack of general transparency are the main elements of the CSDP’s “too difficult box”. In Timothy Clarke’s opinion (Head of Division at the Crisis Management and Planning Directorate at the EEAS), there is a need to review the EU’s overall approach to cooperation; Mali has proved that if security and defence are not adequately tackled, all the work done in the areas of Human Rights, democracy, rule of law and good governance will fall apart. Although the preparatory work in advance of the December Council focuses on the military dimension of defence policy, the Irish Presidency of the Council of the European Union has been very active in strengthening institutional dialogue between the EU and the UN in the field of civilian peacekeeping and peacebuilding. Indeed, the externalisation of the so-called “comprehensive approach” to integrated communication and cooperation with other regional or multilateral organisations is a key element for the credibility and sustainability of the EU’s peacekeeping and peacebuilding rhetoric. Should the conceptualisation of the “comprehensive approach” be reviewed? In this perspective, the creation of the EEAS has clearly helped in improving cooperation between the EU and the UN; Mali will be the test case, although the different cultures and systems of both organisations stand in the way of optimising their relations. For instance, the extreme decentralisation of control within the UN complicates the work of UN Special Representatives and UN staff on the ground with their EU counterparts who are tied to complex decision-making procedures. Emerging actors, peacekeeping and peacebuilding? 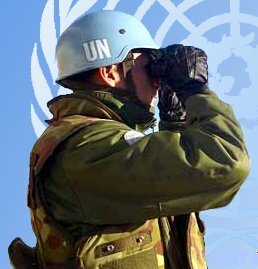 The discrepancy between UN operations’ budget contributors (41% by EU Member States) on the one hand, and UN operations’ troop contributors (EU contributes only 7% troops) on the other, considering in addition the controversial composition of the UN Security Council, reflects the challenges faced by the EU and the UN in an increasingly multipolar world. At the same time, these figures reveal the potential that exists if multilateral cooperation and efforts were to be adequately coordinated and mutually reinforcing. Over the past decade emerging powers, and in particular Brazil, India and South Africa, have increasingly been participating to peacekeeping operations. Each of them having its own specificities in terms of experience, involvement in military aspects of peacekeeping and peacebuilding, etc., emerging powers are undeniably key supporters and drivers of multilateral peacekeeping operations. Consequently, their demand for a permanent seat at the Security Council seems totally legitimate. However, panelists did not appear to be clear about what their respective countries’ positions would be and about how they would influence the decisions made as potential permanent members of the Security Council. In spite of their revisionist agenda towards the UN, Brazil, South Africa and India are, in the experts’ views, unconditionally committed to peacekeeping and peacebuilding operations of the UN, which they view as the most legitimate organ for that role. Cooperation with the EU could take place, but more with the purpose of creating commonalities and synergies in terms of training, practices etc. Surprisingly enough, all speakers of the two panels introduced their speeches by underlining their optimism and positive assessment of the EU’s “Peace Policy”. If the road to improvement is naturally never-ending, they all took stock of the progresses made and of the efforts that have so far been deployed. This is in sharp contrast with the tone of a recent event organised by the Konrad Adenauer Stiftung and the European Security Roundtable on 30 May 2013. Entitled “Perspectives for CSDP in the light of the December 2013 EU Council”, the Conference had focused on the defence dimension of the upcoming EU Council, with a particular interest in the future of the more robust parts of the CSDP. Where despair and pessimism characterises the security and defence community, the civilian CSDP and peacekeeping and peacebuilding actors’ stance strikes. Is this representative of the overstretch and intrinsically complex conceptual, functional, institutional and operational architecture of the so widely accepted “comprehensive approach”? What if, instead of talking about the ‘comprehensive approach’, we started talking about a ‘comprehensive strategy’? Can it be that integrating different approaches (when required) into a comprehensive strategy may be more effective in actually utilising adequate actions and instruments in given situations rather than letting decisions being driven by pre-sketched approaches? This entry was posted on 07/06/2013 by ISIS Europe in Conferences, Myrto Hatzigeorgopoulos and tagged CSDP mission, Defence, EU Crisis Management, EU Foreign Policy, Peacebuilding, Peacekeeping.